Job ID: 1792361 Location: Summertown Simply Food Shift: Normal (Core Day) Category: In-store - Deli Salary: £8.50 - £10.60 per hour (following probationary period and dependent on location) plus 20% staff discount Hours: More than 30 hours per week Closing date: . A huge amount of passion, energy and joy goes into making our Bakeries, Cafés and Delis special places to work and shop. 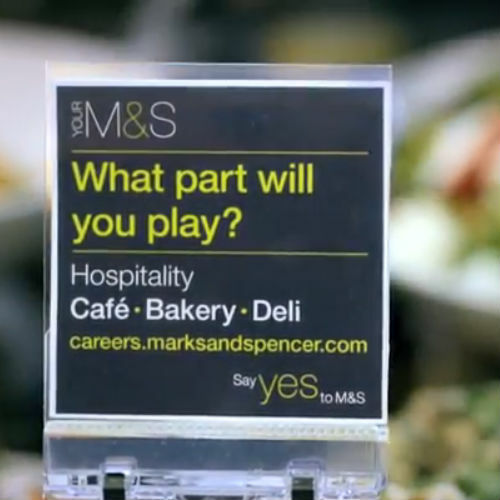 Join this part of M&S and you’ll be at the centre of it all. We sell over 100 mouth-watering artisan and luxury food products at our Deli Counter. So we’ve everything a busy, on-the-go customer might need. From fresh pasta and salads to cheeses and charcuterie, there’s quite a choice. Good thing you’ll be on hand to guide people through it all. The delights of our Food Hall are now greater than ever, thanks to over 100 mouthwatering artisan and luxury foodstuffs sold at the Deli Counter. From fresh pasta and salads to cheeses and charcuterie, it’s quite a choice. Good thing you’ll be on hand to guide people through it all. Customers will see you as a food expert because that’s precisely what you are. You’ll already be working in some kind of deli-style setting, and the type of fine food we sell is something you’ll adore in your personal life too. You’ll be the type of person who lives it, breathes it, cooks it, savours it and thinks about it all day. We’ll help you learn even more about your passion as you get to grips with our delectable Deli range which includes ham hock terrine, Milano salami or freshly made pasta. Your love of our food will shine through in every way: how you talk about, prepare it and present it, how you keep the counter glamorous and gleaming and above all how you share your enthusiasm with every customer. As we’ve already mentioned, you’ll need a deep passion for food, and a good knowledge of the type of food served in a typical deli or restaurant environment. That’s not all there is to it though - the fact is, you’ll need to be really good with customers too. Passionate, articulate and friendly, you’ll be well-versed in sharing your love of food with others, particularly as you’ll have previous experience preparing and selling fresh food in a deli environment. If you’re interested in joining the Deli Counter team, you’ll need to complete an online assessment. This will involve a deli based knowledge test as well as a customer service based situational judgement questionnaire. If you’re successful, you’ll take part in a face-to-face assessment made up of a further deli based knowledge test, interview with a Line Manager and a role play. If you have previously registered, or joined us on a temporary contract last year, click here to update your details and fast track your application. We have a diverse range of employees and are committed to an active Equal Opportunities Policy which starts with our recruitment and selection process. 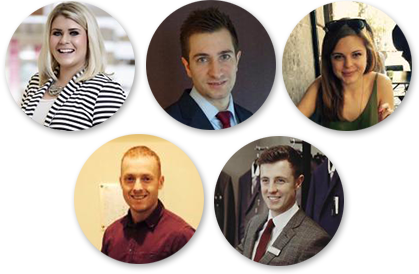 Our online recruitment process takes up to one hour to complete depending on the role you are applying for. This includes self-booking a face to face assessment if you are successful during this stage. You'll get to read more details about our online and face to face assessments during your application and whilst one hour for the online element may seem a long time, the assessments have been designed to give you a good idea of what the actual role involves. 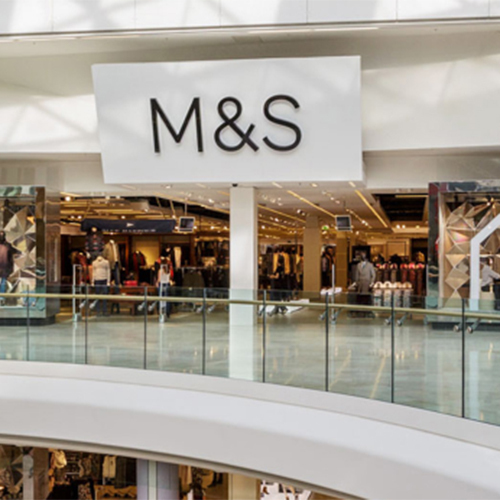 If you consider yourself to have a disability or learning difficulty which means you are unable to complete the application process online, please get in touch either by phone on 0345 300 3725 or by email recruitment.online@marksandspencer.com so we can make alternative arrangements for you. BY CLICKING APPLY, YOU ARE INDICATING THAT YOU HAVE READ AND AGREE TO THE ABOVE. 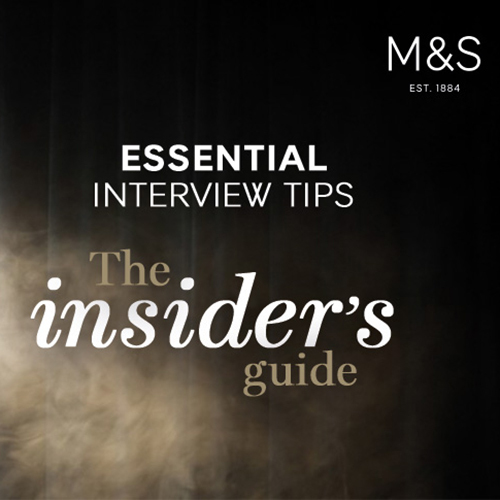 If you would like to find out more about M&S before you apply, read our stories or talk to our insiders by clicking on the Inside M&S link above. CAFE, DELI, BAKERY - WHAT PART WILL YOU PLAY? When you say yes to M&S, we'll give you access to a highly competitive total reward package.